TWISS, WILLIAM, army officer and military engineer; b. 1745; m. and had one daughter; d. 14 March 1827 at his residence, Harden Grange (West Yorkshire), England. William Twiss entered the Ordnance department in 1760, and two years later was appointed overseer of works at Gibraltar. At the end of the Seven Years’ War he was commissioned ensign in the engineers; on promotion to lieutenant in 1771, he returned to England and was employed on the fortifications for the Portsmouth dockyards from 1772 to 1775. In early June 1776 31-year-old Twiss arrived at Quebec and was named aide-de-camp to Colonel William Phillips, under the command of Major-General John Burgoyne*. He spent most of that month in the campaign to force the Americans out of the province of Quebec. Shortly afterwards, Guy Carleton*, commander-in-chief of the British forces in the colony, appointed him controller of works for the building of a British fleet for Lake Champlain. Although John Schank was named superintendent of the dockyards at St Johns (Saint-Jean-sur-Richelieu), Twiss was responsible for their preparation; he also supervised the construction of 12 single-gun artillery boats and the building of launching slips for the large vessels that were brought overland. In October the fleet engaged and defeated an American flotilla under the command of Benedict Arnold*, thus securing the major north-south invasion route. Carleton noted that several junior officers, including Twiss, deserved “particular distinction” for the success of the operation. In the spring of 1777 Burgoyne began his march from Quebec towards Albany, N.Y. Twiss was the senior and commanding engineer for the expedition; he took an important part in the capture of Fort Ticonderoga (near Ticonderoga, N.Y.) and was with Burgoyne’s army when it surrendered in October 1777. Exchanged within a few days, he returned to Quebec. A year later he was promoted captain. 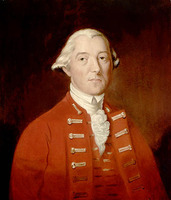 Carleton’s successor as commander-in-chief, Frederick Haldimand*, held a high opinion of Twiss’s “zeal” and “activity.” In 1778 he explained to the master general of Ordnance, Lord Townshend*, that Carleton had stationed the senior engineer in the province, the aged and infirm John Marr, at Quebec and had placed all other military works under Twiss’s direction. Haldimand was not attentive to Marr’s protests and asked that Twiss be appointed chief engineer, a request which was only fulfilled on Marr’s departure in 1781. Also in 1778 the commander-in-chief advised Lord George Germain, secretary of state for the American colonies, that work under Twiss’s direction “is performed with great judgement and economy,” and that he had “confidence in his [Twiss’s] abilities and integrity.” The comment in 1781 by Major-General Friedrich Adolph von Riedesel, commander of the German troops, that Twiss “has solved questions which seemed impossible” also suggests the growing trust senior officers had in his talents. In August 1778 Haldimand instructed Twiss to select a site for, and oversee the construction of, a naval establishment in the vicinity of Cataraqui (Kingston, Ont.). With the assistance of Schank, Twiss chose Buck Island (N.Y.), which he renamed Carleton Island, as the site for a fort to be called Fort Haldimand. On Haldimand’s orders, he returned to Montreal and left James Glenie* to oversee construction. The post, established to protect the supply routes to the west, was one of the most vital sites in the province between 1778 and 1783. In 1779 Haldimand called on Twiss to superintend a major work of military construction, a small fortified canal at Coteau-du-Lac, Que., to circumvent the rough water of the St Lawrence between Montreal and Point Maligne (Cornwall, Ont.) and thus improve communications with the interior. By the end of the year Twiss had completed the task. He wrote to Haldimand in 1780 that “it will be formed into Locks as useful to navigation as any in the world.” From 1781 to 1783 he periodically inspected further improvements to navigation on the St Lawrence such as the canals at Les Cèdres and the Cascades (near Île des Cascades). During the years 1777–83 Twiss was also engaged in a wide variety of works at important points (among them, Quebec, Sorel, Île aux Noix, St Johns, and Montreal) involving hospitals, windmills, storehouses, barracks, fortifications, roads, bridges, prisons, ironworks, dams, and bakeries; he was involved as well in plans for various posts throughout the province. In 1778 he reported to Haldimand on proposals for a permanent citadel at Quebec, but advised that it could not be completed in less than 12 to 15 years because of many problems, including the climate and the attitude of the local labour force. He explained that, “as every Canadian has his own House and Farm, it cannot be expected that he will attend the Publick Works with the same constancy, as Artificers, and Labourers do, who have only their Labour to depend on.” Nevertheless, acting on orders from London, Haldimand asked Twiss to supervise the erection of a temporary citadel, construction of which began in 1779. In October 1783, after the signing of the Treaty of Paris, William Twiss sailed for England. He had been 23 years in the service of the engineers, seven of which had been in North America during the swirl of the American revolution. From 1794 to 1810 he served as lieutenant governor of the Royal Military Academy at Woolwich (London). He was ordered to Holland in 1799 as the commanding engineer under the Duke of York, until the British evacuation was completed. In 1802 he became a colonel in the corps and was sent to report on the defences of Ireland. He spent the greater part of the next few years engaged on more defence works, especially along the English coast. He was appointed colonel commandant of the Royal Engineers in 1809. The following year, after a service of 50 years, he retired from active duty. Not yet ready to seek complete retirement, he acted in 1811 as a member of a committee on major defence works then in progress. 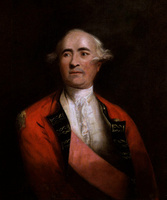 Promoted lieutenant-general in 1812 and general in 1825, he died in 1827, aged 82. 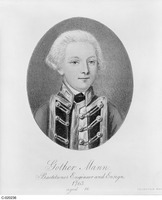 At his death there was only one officer in the Royal Engineers with greater seniority, his successor as commanding engineer in Quebec, Gother Mann. BL, Add. mss 21674; 21814: ff.2–475. J. M. Hadden, Hadden’s journal and orderly books: a journal kept in Canada and upon Burgoyne’s campaign in 1776 and 1777, by Lieut. James M. Hadden . . . , ed. Horatio Rogers (Albany, N. Y., 1884; repr. Freeport, N. Y., ). Kingston before War of 1812 (Preston). [F. A. von] Riedesel, Memoirs, and letters and journals of Major General Riedesel, during his residence in America, ed. Max von Eelking, trans. W. L. Stone (2v., Albany, 1868). DNB. Harrison Bird, Navies in the mountains: the battles on the waters of Lake Champlain and Lake George, 1609–1814 (New York, 1962). Whitworth Porter et al., History of the Corps of Royal Engineers (9v. to date, London and Chatham, Eng., 1889– ; repr. vols.1–3, Chatham, 1951–54), 1. C C. J. Bond, “The British base at Carleton Island,” OH, 52 (1960): 1–30. J. C. Kendall, “William Twiss: royal engineer,” Duquesne Rev. (Pittsburgh, Pa.), 15 (1970), no. 1: 175–91. John C Kendall, “TWISS, WILLIAM,” in Dictionary of Canadian Biography, vol. 6, University of Toronto/Université Laval, 2003–, accessed April 24, 2019, http://www.biographi.ca/en/bio/twiss_william_6E.html.